All 01xxx numbers are UK - if telephoning or faxing from outside the UK remove the leading 0 and insert +44 so 01xxx becomes +44 1xxx. 0033 numbers are France. From outside UK these will be +33. Holiday villas and apartments in France for vacations with well illustrated webpages. LOIRE VALLEY. - Would you like to buy a house in the Loire? House in hamlet. Sleeps 7/8. Pool. FOR SALE - Brochure: tel. 01892 834811. PARIS STUDIO, sleeps 2. Central, convenient, well equipped. �236/week. - Tel. 01300348353. CAP D'ANTIBES Luxury one bedroom apartment with excellent kitchen living room and roof terrace. CEVENNES MOUNTAINS, S. FRANCE. - Restored village houses. Spectacular scenery, lake, gorges. From �60 pm. Winter lets. -Tel. 01732457744. DORDOGNE. - Elegant chateaus, beautiful farmhouses and comfortable gites set in idyllic countryside. Individual care and attention throughout. - Tel. Mrs Green: 01222 521348. If you want to get away from the hustle and bustle of the big places - St Tropez, Montecarlo, Monaco, Nice, Cannes and Juan les Pins, but still want to be really near to enjoy their facilities, you might try this nice old place here at Cap d'Antibes on the exclusive quiet Cap, but within easy reach of the special events and, most importantly within only 400 metres of beaches on two sides - and very near to a wonderful food shop so fresh croissants are on the menu for breakfast every morning! Many places say "holiday accommodation within 5 minutes of the beach" but in reality that's driving time rather than walking time - this really is walking time to the beach here. This place really is conveniently situated. Near here is a good place for lunch and the most ralaxing places for your holiday or wedding. AVEYRON-NAJAC / CORDES. - 2 lovely stone barns, sleepS + 6 in spacious comfort. Available together or separate. Peaceful. Pool. Splendid views. - Tel./Fax. 00 335 6529 7488. BURGUNDIAN MANOR in tranquil riverside park. Pool, log tires, books. -Tel. 0207-267 8800. CREUSE. - Spacious sunny house, sleeps 6. Forest/river walks, cycling, fishing, swimming. June-September �180/ �220 p.w. -Tel./Fax. 00 335 5580 4820. FRENCH RIVIERA - Flat, sleeps 4, close beach, shops, pool, restaurants. -Tel. 01372 744246. FRANCE. - Med. 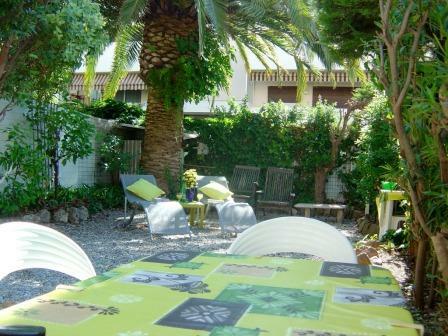 beach flat, sleeps 4, near Perpignan. From �88pw. - Tel. 01273 834974. LOT VALLEY. - Stone cottages with pools above river gorge. Stunning and peaceful locations. Sleep 2-8. - Tel. Liz Reid, 0033 565 44 5276. NORMANDY. - Tranquil, rural, spacious farmhouse. Close beaches. Sleeps 6/7. From �250.- Tel. 0033233516820. BRITTANY, CENTRAL SOUTHERN. - Country cottage in charming peaceful location. -Tel. 01564782646. ALPS, NEAR MONT BLANC. - Chalet/ apartments. Beautiful unspoiled village. Ideal walking, touring, skiing. - Brochure: Tel. 0181-9483522(w). CORREZE. - Beautiful countryside, picturesque cottage. Sleeps 2. 7 miles R. Dordogne. - Tel./Fax. 01923 494121. ALPS. SAMOENS. - Savoyard farmhouse, 'Le Fen' has 5 spacious, well equipped, s/c apartments. Superb winter skiing and summer activities. - Tel. 01226 727736/01977 796364. GASGONY (SW). - Lovely cottage, Sleeps 6. Pool, garden. English owners. -Tel. 0033 56206 2926. DORDOGNE / LOT. - Traditional cottage, rural village, sleeps 4. �120- �220pw. -Details: Tel. 01705 525347. NORMANDY. - Tranquil country cottage near Portbail and beaches. Sleeps 5. - Tel. 01494 794744 for information. DORDOGNE. - Watermill, sleeps 10, 6 acres, private woods, islands. - Tel. (0044) 0151 6782779. SOUTH WEST FRANCE. - Beautifully converted barn, enclosing two gites sleeping eight and four. - Tel. Mr Lovell: 01258 473265. ALPS, FRANCE. - Apartment, sleeps 8. Skiing, walking. Indoor pool. Lifts 100 yards. Available now. -Tel. 0181-8587111. DINAN, BRITTANY. - Individually designed riverside apartments in character Breton house. Sleeping 4/6. Restaurants, beach, golf, tennis, sailing close by. - Tel. 01298813444. BORDEAUX. - Farmhouse, rolling vine country. Pool. -Tel/Fax. 01730892712. BRITTANY. - Cottages. South Brest. Sleeps 2/6. Close restaurants, beaches. -Tel. 003329883 1225. S.W. FRANCE, NEAR ROYAN. - 6/8 berth mobile homes for hire on luxury site with large water complex. - Telephone 01342 714160. BRITTANY FARMHOUSE, sleeps 12. Quiet rural, large pool. July onwards. 1/2 hour coast, Blavet Valley. - Tel. 00 33 297 519550, 0961181347. DORDOGNE, RIBERAC. - Delightful home, sleeps 7. Bedrooms ensuite. �500 p.w. - Tel. 01932 765433. UPPER LOT VALLEY & GORGE, Aveyron, the unexplored secret Southern France. - 6 exceptional cottages with pools, Sleeping 2-8. Sensible prices. - Tel. Paul Pocock: 0033565486291. AUVERGNE. - Riverside village house. Dining arbour, lake swimming. Sips 5. - Tel. 01394384084. PROVENCE. - Beautiful period Olive mill in 30 acres hills. Pool, river, tennis. 6/8 persons. Separate cottage for 4, own pool. - Tel. 00334 9438 7233. PYRENEES ATLANTIQUES / ORIENTALES - 3 houses, sleeps 2/6. �125/ �375 p/wk. Tel. DORDOGNE- 2 gites, 2-5 persons �135- �365 Studio for 2 peak �175. B&B, pool, restaurant. - Tel. 0033 55356 66559. ALPS. - Chalets, apartments, Mountain village near Swiss border. - Tel. Snowise 01354 740493 (day), 01354 741403 (evening). SOUTH OF FRANCE. - Mobile home, 1yr old. Pool. Beaches. Close Pyrenees. - Tel. 0181-241 6222, eves. FRENCH ALPS, CHAMONIX. - Charming timber chalet. Wonderful views. Garden. 3 bedrooms. - Tel. 0207-9384844. DORDOGNE, NR BERGERAC. .Restored farmhouse Sleeps 6/8. Also cottages Sleeps 6, 4+2. Beautiful location, large pool. -Tel. 01489877216. SOUILAC SUR DORDOGNE. - Superb golf lodges for rental from �400 pw. on a delightful golf course complex with pool, tennis, restaurant and club house facilities in the Dordogne valley. Tel. - 00 33 565 27 5600 Fax. 0033 56527 5601. PAYS-DE-LOIRE. - Farmhouse cottage Totally equipped to English standards. - Tel. Smith, 01237 476154/478206. BRITTANY, NEAR DINAN. - Attractive Breton farmhouse, lovely garden, beautiful countryside. Sleeps 6. English owners. - Tel. 0033 2 99452347. LANGUEDCC / CEVENNES. - Large house, beautiful unspoilt village. Excellent swimming. - Tel. 01223871629. BAYEUX - Lovely cottage, large garden.. - Tel. 01283 732062. ARDECHE PROVENCE - Luxury stone barn, has everything. Pool. Privacy. - Tel. 01273681686. BRITTANY NR. DINAN - Charming, renovated Breton cottages, two and three bed-room. Peaceful country hamlet. Very high standard. Ideal for beaches, restaurants, golf. British owners. - Tel. 0033 96850203. DORDOGNE / LOT. - Cottages. Stunning views. Pool. June-Sept available. -Tel. + 33 553011656. LOT VALLEY. - Pretty stone house, well-equipped, superb pool. - Tel. 01256 862400. LANGUEDOC, ST PIERRE SUR MER. - Mediterranean apartment. Sleeps 4. Sandy beach 300w. Near bird reserve. -Tel. 01924 492618. AUVERGNE - Delightful house in medieval village tucked in foothills of Massif Central. Magical walks by rivers and forests and lakes. Tel. 01449 722885. NORMANDY - Beautiful farm cottage situated near to chateau on English speaking fruit farm. ¼ hr Dieppe, 1/4hr beach. Sleeps 6/8, 3 bedrooms. - Tel. 01245421057. MEDITERRANEAN PYRENEES  Bright spacious self-contained apartment in large private house. Terrace, garden, mountain views. 45 minutes to sea. Sleeps 4/5. - Tel. 0207 837 2751. FRENCH ALPS. - Beautiful old farm-house, privately owned, set in 9 acres just outside the medieval village of Samoens. Self 1 catering or fully catered with many mountain -activities, a walking paradise with breathtakmg views. To obtain details for your summer "vacances,'. -Tel. 01732885581. PORT ARGELES. - Attractive Mediterranean apartment, sleeps 4. Marina, beach 100 yards. - Tel 01202842261. ST TROPEZ COGOLIN - 3 bedroom villa, sleeps 6. Garden, barbecue. - Tel. 01892 852758. LA TRANCHE, VENDEE. - Modern fully equipped holiday homes, shared pool, direct access to beach. - Tel. 01752 252567 for brochure. Most dates available. FRANCE, DORDOGNE. - Farmhouse, weekly, sleeps 4+. E-mail: halhol@aol.com TeI./Fax. 0033 553 91 5094. HOUSES Charente / Biarritz. - Sleeps six. Fully equipped. - Enquiries Tel. Corrine 0033-545225495. BRITTANY. - Cottage near Guingamp. Village location. 15kms sea. Sleeps 5. - Tel. 01235850745. BENODET, SOUTH BRITTANY.  2 bedrooms, sleeps 4, kitchen, dinner. Sea, views, 100 yards, sandy, beaches, �200- �350 p/m. - Tel. 00332-98572882. LAST MINUTE HOLIDAY? - Pretty Perigourdian cottage, S.W. France, sleeps 4. From �240 p.w. -Tel. 0033553515732. BEAUTIFUL COTTAGE Nr. Bergerac, Dordogne, sleeps 7. - Tel/Fax 01633 412222. 6 E.mailannivor.cook@virgin.net. CHARENTE MARITIME. - 3 and 4 bedroom, converted barns with stunning pool. 25 mins. South of Royan. - Tel. 01279843805 Fax. 01279 843740. ALPS, CHATEL. - Luxury Ski Chalet. 1hr 20mins - Geneva. 6 bedrooms, selfcatering, from �460 pm. - Tel. 01565 634286. LOT CORREZE BORDER. - Luxury garden apartment, ensuite bedroom, lounge, kitchen. Swimming pool with terrace and views of Massif Central. 200m from Chateau SE of Turenne. - Tel. 0033 555 220140. NEAR NICE. - Studio flat in luxury block. Separate kitchen, bath, large terrace. Mediterranean 150 yards. �130/ �150 per week. Suit 2.-Tel. 0207-4354486. DORDOGNE. - Charming farmhouse in hamlet. rural views. sleeps 7. - Tel. 01291 672138. DORDOGNE. - Superb converted 16thC farmhouse, beautiful views. Village nearby. Large swimming pool. Available 4/11 July else September. English owners. - Tel. OO 33553912713. LOT. - Idyllic luxurious cottage. Fabulous views. Available July (Aug 291. - TeliFax. 0033 565 229857. COTE D'AZUR. - Left if late? Don't despair, July and September dates available in luxury apartment, sleeps 6. - Tel./Fax. 0033494 057858. LOIRE. - Fully furnished cottage. Centrally located. Many amenities. Sleeps 6/8. -Tel. 01223 350330. LOIRE VALLEY. - Restored farmhouse. 15kms Saumur. Sleeps 8. Riverside/vineyard views. Available July/August. - Tel. 0181-8943764. COTTAGE IN INDRE. - Swimming pool, sleeps 7. Available from 27th June. English spoken. - Tel. 0033 2542 56705/2542 48261. VENDEE. - Family house, equipped, sleep 10 50m beach. �700 to �900 pm. July/Aug/Sept. - Tel. 00 331 4222 9878. Fax. 00331 45443088. S.E. BRITTANY. - Cottages from �100. Rural setting. Fishing, cycling, touring. -Tel. 01494 483082. ANTIBES. - Mobile homes. 4 star coastal site. - Tel/fax. 00 33 493 658416. AVEYRON. - Idyllic, comfortable farmhouse with own pool, available for late bookings. - Tel. 0181-9463913. NORMANDY. - Lusury house. Superbly appointed. Sleeps 6.3 new baths. Rural bliss yet easy access fo coast. Housekeeper. Linens included. Available all year. - Tel. 00 377 93 507681. JURA APARTMENT. - Fully equipped. Sleeps cia. Quiet mountain village. August available. Only �200 per week. - Tel. 01323 721679. LOT. - Gorgeous Quercy house. Sleeps 6-8. Fully equipped, private pool. Sept 12- 26 remaining. �395pw. - Tel. 01225 421790. PERIGORD. - Mobile home, peaceful site. Pool, amenities, �145-�395pw. - Tel. 0151-3550476. DORDOGNE. - Charming country manor. Sleeps 12. Rural. Large pool. 6kms Bergerac. 22 Aug onwards. - Tel. 0033 553 582156. JULY & AUGUST in Southern Brittany. Lovely properties sleeping 2-8. - Tel./fax. Karen 00 33 297 272209. ALPINE CHALET. - Apartments, renovated, spacious. Sleeps 4-16+. Portes de Soleil area. - Tel. 0161-445 1977/0161-613 2459/01273 692705. SARTHE. GARDEN OF FRANCE. 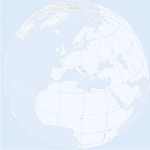 - �hr Le Mans. Hilltop cottage. Sleeps 4. - Tel. 01626330510. NORMANDY. - Beautiful 500-year-old thatched cottage. Oak beams throughout. Sleeps 2-6. Lovely setting, large gardens. -Tel. 0181-2247491. LOIRE VALLEY. - Would you like to buy a house in the Loire? House in hamlet. Sleeps 7/8. Pool. FOR SALE - Brochure: tel. 01892 834811. LOIRENENDEE. - Delightful farmhouse. Beautifully restored. Quiet countryside. Ideal for families. Sleeps six. Excellent cycling and walking. Available 4/7-25/7 and 8/8-15/8. - Tel. 01903 770061 or 0033 2 40 266033. SOUTHERN FRANCE. ANTIBES. - Superb ground floor apt. Sea, garden, garage, phone, tv. Near Nice, Cannes , trains. Sleeps 6. �300-�600. - Tel. 01707 262956. Luxury one bedroom apartment with roof garden. NORMANDY. - Featured on BBC South. 3 floor stone cottage. English tv, secret garden. Sleeps 6+. Prices from �250.- Tel. 01285 861734. NORMANDY COTTAGES. - Some with pool. Sleeps 4-12. Vacancies July/August from �35/night. - Tel. O0 33 2 33 278003 Kate Stark. PROVENCE, LUBERON. - Charming renovated stone house in conservation village. -Tel. 0207-4856582. DORDOGNE, NR SARLAT. - 3 houses, 6, 4, 2, pool. Open all year round. - Tel. 0033 553 071775. Fax. 0033 553035164. GRANVILLE, NORMANDY. - Comfortable farmhouse, sleeps 6-8. Also pretty cottage, 4-5. -Tel. 0207-7225477 daytime. NORMANDY, NR CONDE S NOIREAU. - 4 berth gite. One hour Caen. - Tel. 01753 670766. DORDOGNE. - Peaceful farm cottage, lovely countryside. Nr Eymet. Sleeps 4, pool. Golf, restaurants nearby. Available now. -Tel. 01455290534. S.W. FRANCE. - Peaceful hill village house. Nr Carcassonne. Sleeps 8, garden. From �200.- Tel. 0181-878 0039. PICARDY. - Farmhouse/camping, optional workshops, Astrology, Reflexology, Line Dancing. - Tel. 01234 364204/447297. 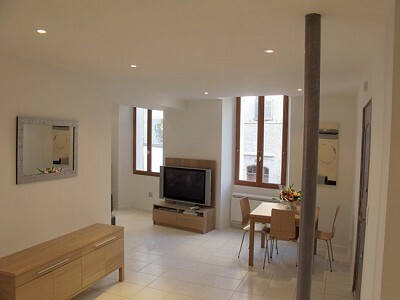 PARIS STUDIO, sleeps 2-4. Central, convenient. Reasonable rates. -Tel. 0033 1401 80905, 0033 685383771. SOUTHERN BRITTANY. - Idyllic cottage and apartment. Riverside, private, gardens, bicycles. Atlantic 25 minutes. - Tel. 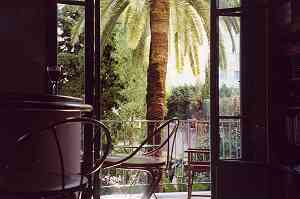 0033 2972 22997.
antibes.co.uk is a new and expanding site about this very traditional town much enjoyed for holidays. 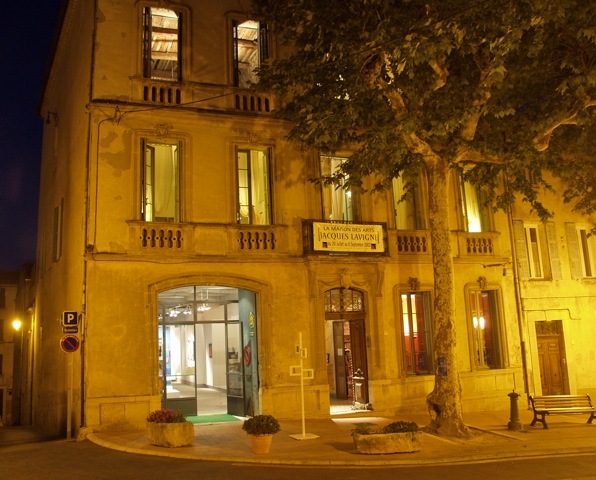 It is within easy distance of the Cannes Film Festival and the Monaco Grand Prix. 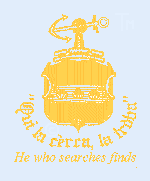 The site has links to Antibes information, Riviera beaches, holiday accommodation and a very handy directory of all the hotels in Antibes and Juan les Pins with addresses, telephone and fax numbers. Here's another lovely place for a good holiday further south on the Costa Blanca. Blanes is an interesting little resort which is very handy for Barcelona (train every half hour, 5 UK pounds for a return fare) giving easy access to Girona, Dali Museum, boats to LLoret and Tossa etc. Three flats are available. Also B&B is available in a 100-year old house at a price so low I can't believe it! It's not a tarted up place - the rooms have high ceilings and style, adjacent shower/WC for every two rooms, use of a fridge and a pleasant roof terrace, and less than two minutes to the sea, markets and taxi and bus terminal. Email roger@contact.latroba.co.uk and he'll send you further details of pricing and availability. RHODES, LINDOS VILLAGE. - Privately owned accommodation, sleeping 2 to 10 at reasonable prices. Airport transfers available. Tel. 0208 878-7996. POLISILATSI. - Lovely apartment. Quiet spot, close to sea. - Tel. 0207-223 1596. Carvoeiro: 3 bedroom apartment with pool near the main square and beaches of this coastal village between Faro and Lagos. Minutes from the beach and 3 championship golf courses, this rental apartment sleeps 8 and is ideal for family holidays on the Algarve. Currently long-term unavailable. Here's a place in Madeira and you can email the owner from here (Netscape) or here (Internet Explorer.) . Here's another place in Madeira for the Millennium. CARVOEIRO, ALGARVE. - 2 private villas, sleeping 2/10. Pools. Close beaches. Reasonable. -Te. 01992576166. NOT ALGARVE. - Private apartment, north of Lisbon. Close unspoilt beaches, golf. Views over Obidos Lagoon. Barbecue, gardens, sleeps 2-6. - Tel. 01453 883070. ALGARVE WEST. - Blissfully peaceful farmhouse, pool, barbecue, CH. The complefe definifive retreat. - Tel. 0131 313 1002; evening, 0131 447 7422. NORTHERN PORTUGAL. - Luxury log cabins and casita, sleeps 3/8. Adjacent river. -Tel. 0190522674. TAVIRA. - Superb value accommodations. Compare our amenities, services, prices. -Tel. 01424442796. ALGARVE, LAGOS. - Three bedrooms. Panoramic views. Maid. Near beaches. Tel. 01433 630777. ALGARVE. - Beautiful spacious villa, private pool, close beaches, golf. - Tel. 01628 788517. VILAMOURA. - Spacious detached villa, own pool, BBO, maid, 3 double bedrooms, 2 bathrooms. - Tel. 0181-693 6197 / 0208 6990511. VALE DO LOBO. - Garden apartments, suit 2-5, maid, satellite, mashing machine, tennis, pools. Golf greatly reduced.  Tel. 0181-5794926. LAGOS VILLA sleeps six. Apartment four. Pool. Maid. -Tel. 01905353793 evenings. PRIVATE VILLAS. - Apartments <B>Vilamoura, Gale, Paderne, Olitusdeagua</B>. - Tel. 0181-777 6569 M. 0958 577553. WEST ALGARVE. - 3 bedroom cottage, near Parque de Floresta. Heated pool. Accommodates 2-8. Golf, tennis, bowls. Leisure centre. - Colour brochure: Tel. 01485 210342 (24 hours). VALE DO LOBO. - Beautiful 2 bed luxury villa with pool, BBQ, air/con. - Tel. 01780 721707. PEACEFUL MODERN VILLA. - Faro/Lule countryside location. Pool. Sleeps 4. - Tel. 01761 413694/232785. ALGARVE. - Lovely 3 bedroomed villa, pool, maid, beach 50Dm. Albufeira 3km. -Tel. 01462455374. ALBUFEIRA. - One/two bedroom apartments, sea views, pool. - Tel. 01203 712037 evenings. ALGARVE. -Villas, private pools, 2-6 bedrooms. Close beaches, golf, golf, restaurants. Maid. - Tel. 01777 706292. CARVOEIRO, ALGARVE  Peacefully located villa, close beach. Sleeps six. Maid, pool, barbecue. - Tel. 01827 288459 / 01902 605569. VALE DO LOBO, ALGARVE. - Luxury villas/ apartment on private estate, from �450 pm. Discounted golf. -Tel. 0207-371 2244 office hours. LISBON, ESTORIL. - Apartments and cottage. Near beaches. - Tel. / Fax. 01256 389186/0207-2293783. ALGARVE. - Detached villa, private location, 3 beds, 3 baths, swimming pool, �350- �950, including car. -Tel. 01782613360. DELIGHTFUL, PRIVATE, secluded country cottage, nr Lisbon / sea. - Tel. 01202 295282. LUZ. - In exclusive Luz Ocean Club, 2 bed, 2 bath cottage, sleeps 4/5. Maid service, pool, tennis, watersports, beach 2 minutes. - Tel. 01932 254986. TAVIRA. - Comfortable Portuguese house, in ancient town, near beautiful beaches. -Tel. 01179277452. ALGARVE. - Rural setting private villa with own pool sleeps 4. -Tel. 01703635362. SEAVIEW APARTMENTS. - Every facilitry. From �lOOpw. - Tel/fax. 01273 301047 and 685111. ALGARVE. - Spacious villa. Peaceful location. Sleeps 6. Pool. Maid. BBQ. - Tel. 01534626020. LAGOS, ALGARVE. - Lovely apartment (2 people) Mela Praia beach. - Tel. Doreen 01453872115, mobile 0831 242917. ALGARVE, BURGAU - Luxury bungalow. 2 twin bedrooms, own swimming pool, barbecue, maid. From �30 per day. - Tel. 01253 593619 or Tel. Direct: 00 351 82697302. CARVOEIRO. - Villa/apartments (sleeps 2/13). Spectacular seaviews. Satellite. Central. - Tel. 01582 833113. ALGARVE. - Private villa with pool. September. Long/short minter bookings. - Tel. 01203 681276. ALRGARVE ESTOI. - Luxury hillside villa. Pool. 3 bed/3 bath. Available June-September. - Tel. 01780470588. CARVOEIRO. - Villa/apartments (sleeps 2/13). Spectacular seaviews, satellite, central.-Tel. 01582833113. TAVIRA. - Idyllic poolside cottage, Sept sale, magical location. - Tel/Fax 01455 209813. STUNNING PANORAMIC SEA VIEWS. - Unspoilt Eastern Algarve. 4 double bedrooms. Own tennis court. Large swimming pool. Games room, with pool table, table-tennis, Bridge etc. Private owner.-Tel. 0207-2231603; Fax. 0207- 223 1602. ALGARVE. - Lovely garden cottage. One bedroom. �100 per week. - Tel. 0181-858 9352. SINTRA / LISBON COAST. - Beautiful countryside cottage overlooking sea. 30 mins airport. Sleeps 6. Ideal Expo '98. Oceanano. -Tel/fax. 01981 500664. CARVOEIRO. - Large superb 2 bedroom apartment. Pool, maid. 300m beach. -Tel. 01925601248. ALGARVE. - Rural setting, private family run villa apartment. Own pool, sleeps 4. -Tel/Fax. Portugal 00 351 82 53398 after 6pm. ALGARVE, CARVOEIRO. - Private villa, pool, maid, reasonable winter rates. - Tel. 01506413929. ALGARVE. - 2 bedrooms/bathrooms apartment, pool, small complex, gardens. - Tel. 01706829289. ALGARVE. - Villa, pool. Unspoilt rural village. Beautiful views. Sleeps 6. - Tel. 01273 589714. ALGARVE, EXCLUSIVE HOLIDAY. - Hispan-Moor Castle. 180 degree sea view. 75 mi Faro airport, beaches, golfs. Pool 15x7. Cottage, 2/3 peo + castle 4 peo. �613-1500 week. - Brochure: Fax. 00 351 894 10620. Tel. 00 351 931 812632. Here's a place in Madeira and you can email the owner from here (Netscape) or here (Internet Explorer.) . MALTA - Beautiful 18th century house, sleeps 8-10. Unspoilt area. Garden, pool, maid. -Tel. 01386725359. MALTA. - Private apartments. S/pool. Sea 300 yards. From �150 meekly. - Tel. 01392 257500. MALTA. - Spacious restored villa. Four ensuite doubles. Courtyard. Pool. - Tel./Fax. 01932 843776. MALTA. - Sea view flat, terrace, large pool. Available August and from October, �140 per meek. -Tel. 01737249313. GOZO FARMHOUSE. - Beautifully restored, fine views, sleeps 6+. - Tel. 01939 260861. MALTA. SAN PAUL. - Luxury penthouse, quiet harbourside location. Panoramic views. -Tel. 01633400637. MOROCCO, ESSAOUIRA. - Fully equipped traditional Medina house, sleeps 6.Near amenities, beach. From �200 pm. -Tel. 0181-6478030. LAKE MAGGIORE. - Delightful villa -apartments. Patios. Exceptionally beautful views. - Tel. 0041 91 7437542 / 01330822731. FRANCE SWITZERLAND SKI RESORT Chatel Apartment for ski holiday on France Switzerland border Currently long-term unavailable. SWITZERLAND. - Chalet apartment, sleeps six. Idyllic mountain village, fabulous walking country. From �00pw.-Tel. 0181- 392 1403. SWISS ALPS, NEAR CHAMPERY - Apartment, sleeps 6 from �150pm. - Tel. 0208 672 6203. SWITZERLAND, NR CHAMPERY. - Beautiful Valaisan farmhouse, stunning views. Portes du soleil. Winter/summer activities. Sleeps 6-7. - Tel. 0207-586 6563/0041 2447 72260. SWISS CHALET Lovely mountain resort. Pretty village. - Details: Tel. 0207-262 5722. AUSTRIA. - Spacious, well furnished and equipped apartmenf. Lovely lake/high mountain area. All seasons. - Tel. 01628 624441. SOUTHERN GERMANY. - Lakeside cottage, sleeps 4. �45/night. - Tel. 01822 854884 evenings.